It is a surreal feeling to step through a door, wait about half a day, and then leave through the same door into a place that starts its day 12 hours ahead of home, and about 10°C warmer on average to boot. It was my first trip to Taiwan, the second for my brother, and another walk in the park for my parents. 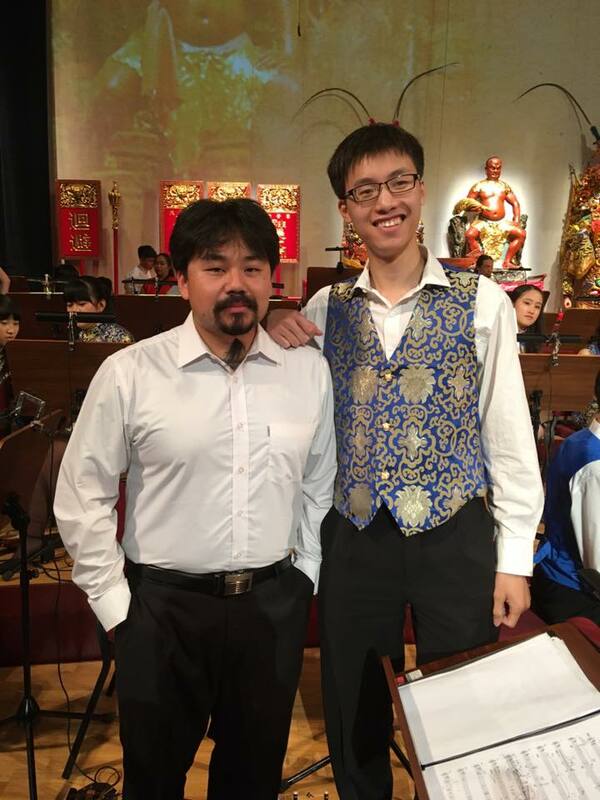 We touched down in Taipei late in the afternoon on Tuesday, July 18; having missed a rehearsal or two and the performance just one week away, my brother and I were eager to settle down at the Airbnb and make up for lost time with the Shiang Se Temple youth orchestra later in the evening. I can say with certainty that I was stranded by that rehearsal. While practicing over the next week, there were many occasions where my thoughts dwelt upon members of the youth orchestra I had gotten to know, as well as members of the TCO there and back home; for better or worse, I likened the notes we play when we practice as individuals to the echoes of raindrops on hot pavement. After each rehearsal, I imagined that an ocean’s worth of preparation must have been poured for the performance. Yet no one was drowning; indeed everyone seemed to be thirsty for more. To have these efforts culminate with a performance at the National Concert Hall, it felt like cool rain to a desert denizen. Then to see virtually every member of the youth orchestra working with the stage crew and volunteers to transport instruments and equipment; it was mana from the heavens replenishing one’s spirit. Throughout the trip, midnight meals and conversations with our new friends from the youth orchestra revealed the deep reservoirs of character and kindness that formed the wellspring of every note played for the performance; it was a distinctive honour and privilege to share in the fruits of their labour.